$1,700 below NADA Retail! Heated Leather Seats, Satellite Radio, iPod/MP3 Input, Back-Up Camera, TRANSMISSION: 9-SPEED 948TE AUTOMATIC. ENGINE: 2.4L I4 MULTIAIR, Alloy Wheels. ENGINE: 2.4L I4 MULTIAIR Tigershark (STD), TRANSMISSION: 9-SPEED 948TE AUTOMATIC (STD). 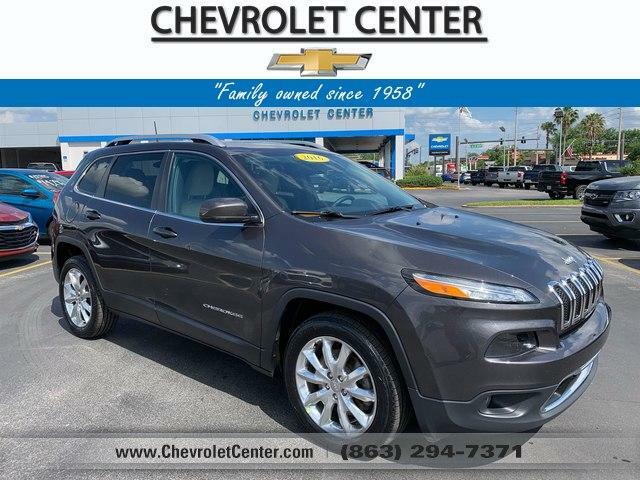 The Cherokee features one of the better backseats in the compact crossover class. Not only does it recline, but it also provides for fore-and-aft adjustment, and the high-mounted bench supports adults' thighs without pushing their heads into the rafters. -Edmunds.com.